What’s more fun than decorating spooky and tasty treats for Halloween? I always have a great time creating new finger foods to share with family, friends and the neighborhood kids to get everyone in the festive mood. 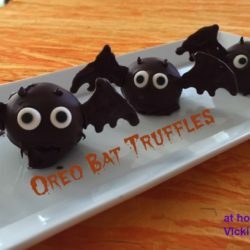 Who doesn’t love Oreo’s and these Oreo Bat Truffles won’t disappoint you. They’re quick to put together and just one truffle is sure to satisfy your sweet craving. With few ingredients, these can be made in no time at all. Just draw out your stencils or print mine. Microwave your chocolate, fill in the stencils. Whip up a batch of truffles to dip and you’re ready to roll. Just one tip that I didn’t do that I recommend: If you have a tweezers, use them to apply the eyes. I squeezed on bat ears but you could also use mini chocolate chips – if you use the chips, then apply with tweezers. My fingers got in the way of a few of my applications. 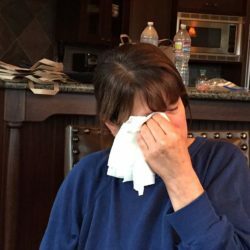 Although they still turned out darling and my family gobbled them up. 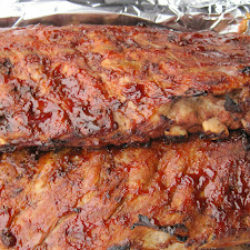 Here’s the recipe, I know you’ll have a great time creating them. or have your kids, grand kids or the neighborhood kids lend a hand. These Oreo Bat Truffles are so delicious you'll find reasons to make them throughout the year! Remove cookies from the package and place in a food processor and pulse until cookies are in powder form. Place the cookie crumbs in a large bowl. Alternatively you can place Oreo's in a plastic bag and crush until powder form. Remove cream cheese from foil and microwave approximately 20 seconds until creamy and smooth, when stirred. In a mixing bowl blend cream cheese with cookie crumbs until well combined. Cover bowl with plastic wrap and place in refrigerator for 30 minutes to 1 hour. Remove bowl from refrigerator. Cover a cookie sheet with parchment paper. Using a mini scoop or teaspoon create small 1 1/2 inch size balls and place on parchment lined cookie sheet. Once cookie sheet is filled place in the freezer for 10 minutes to become firm. While the pan is in the freezer, microwave 1/3 of the chocolate chips in a microwave safe bowl at 30 second intervals, stirring in between, for a total of 1 minute 30 seconds. Chocolate should be smooth at this point. Place a small amount into a zip-lock baggie. Snip a corner of the the bag, slightly larger than a pin hole, and begin outlining and filling in the stencils. (Be sure to flip paper over, do not outline on side of pencil lining or will come off onto chocolate). Place in refrigerator to harden, until ready to create bats. With remaining chocolate chips, microwave as stated above. Remove Oreo balls from the freezer and dip each individually into chocolate, coating all sides. Place on a parchment lined paper. Immediatelyadhere bat wings to sides and eyeballs on front. With the zip-lock baggie squeeze little ears on top of head or alternatively use mini chocolate chips. 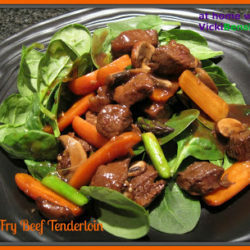 Set aside to firm up or place in refrigerator until ready to eat. Everyone will love these cute little bats! Enjoy!!! Who wouldn’t have fun eating these? And those Oreo truffles are so delicious too! They are delicious Oreos kicked up a notch. Your grand kids would have fun creating them and eating them. I hope you’ll try them. I love Oreos! One of the few package cookies we’ll buy. These look great — fun looks and flavor! Great recipe — thanks. We love Oreos as well and these won’t disappoint you, plus they’re easy to make. How fun! I love those homemade chocolate bat wings. You are really superb, Vicki. 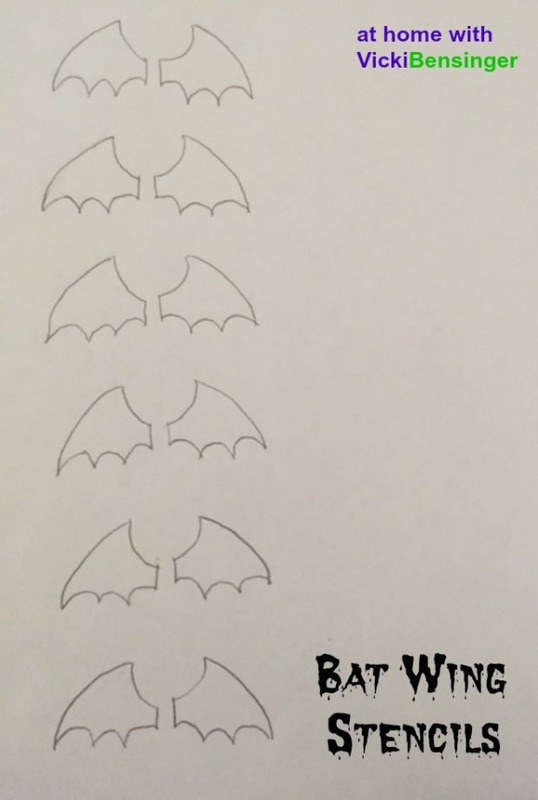 The bat wings are easy. 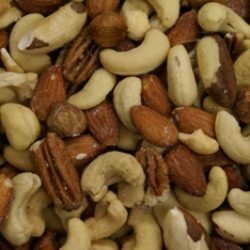 It’s best to place them in the refrigerator to harden up quickly. Use my template and they won’t take any time at all. They’re fun to eat too! How adorable! Makes me want to have a party so I can make these 🙂 Very creative and who doesn’t love working with chocolate! Have a great week Vicki! What a cute idea, Vicki! 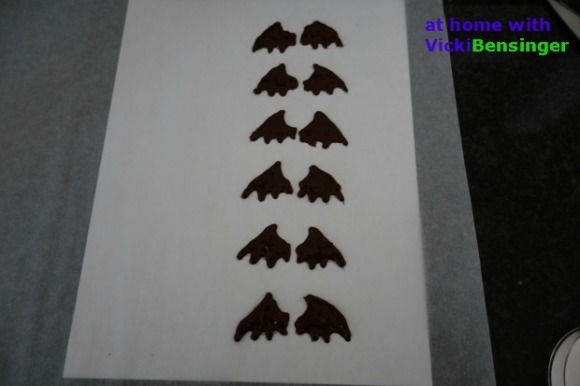 And besides being perfect for Halloween, these bats are delicious! Who doesn’t love Oreo truffles???? 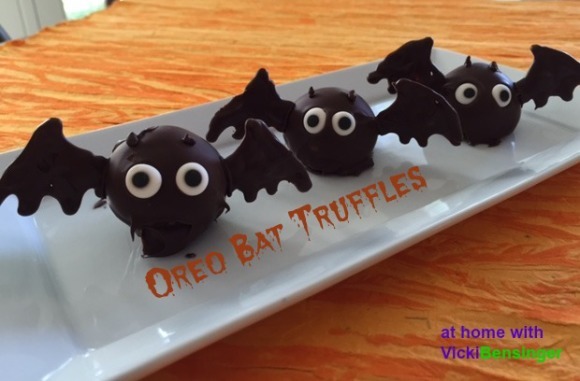 Oh Vicki,,,these little bats are so cute…perfect for the upcoming Halloween! Oh my goodness! These are the CUTEST truffles EVER!!!! My kids will go crazy if I made these. I should totally make these!! Thanks for the tutorial!!! What a darling idea, Vicki! I can’t wait to make some for my grand-boys. Vicki, these are so cute!!! I can’t even stand it! I can’t wait to try them. I know they are suppose to be scary, but these are just too cute!